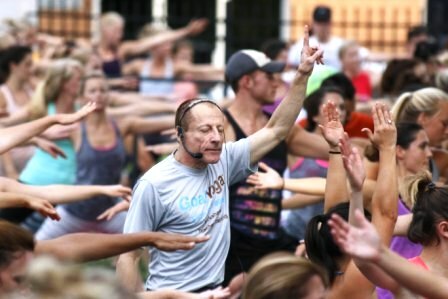 Ken Heptig, GoalYoga teaches Yoga on Tap estimated attendance 410 students. Ken Heptig, founder of GoalYoga™, will lead us in a unique OMB Yoga on Tap July 21st. He will weave one of the spiritual lessons of yoga into your physical yoga practice. Ken believes that the biggest life changing benefits of yoga come from your spiritual yoga practice. And yes you will have fun. It is not optional. Ken created GoalYoga™ in 2007. 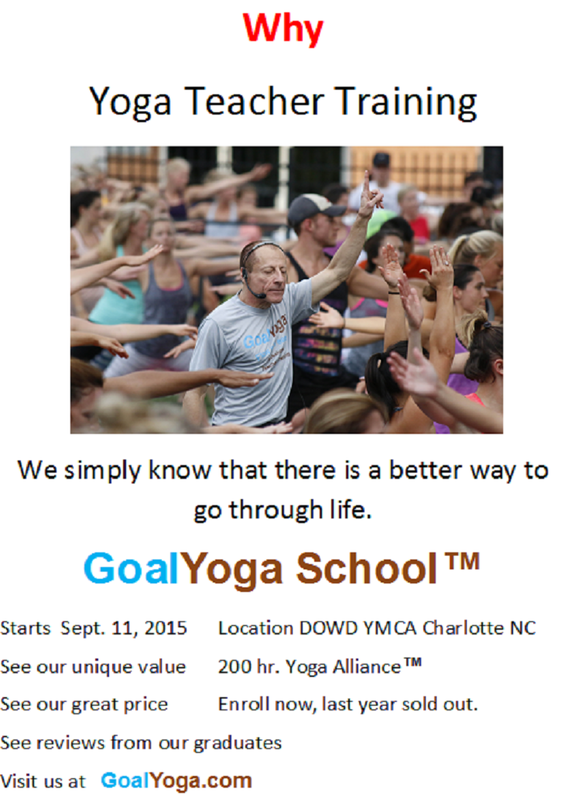 He also conducts yoga teacher trainings through the GoalYoga School™. Ken teaches yoga at 8 YMCA’s in Charlotte. To see samples of the yoga lessons from GoalYoga™ visit goalyoga.com. Attendance at Yoga On Tap was est. 410 students.